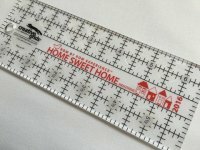 The theme for this year is "Home Sweet Home"! 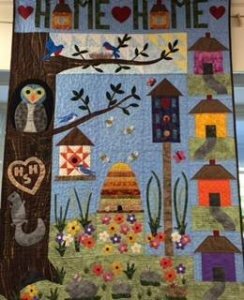 And here is the quilt called "Backyard Homes" that it can be a part of! you can print it off here! 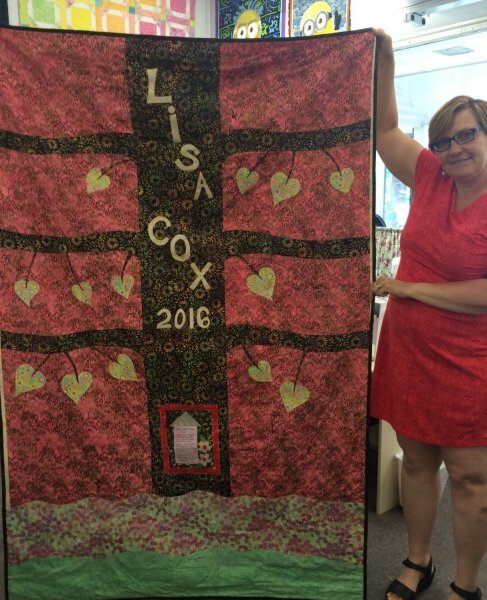 We have a winner for 2016! 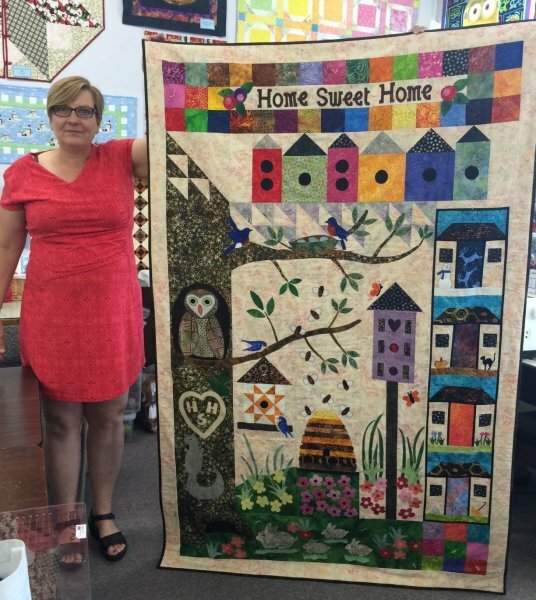 Lisa used the six rows from the Massachusetts shops: A Notion To Quilt in Shelburne, Bayberry Quilt & Gift Shoppe in Chicopee, Brookside Quiltworks in So. 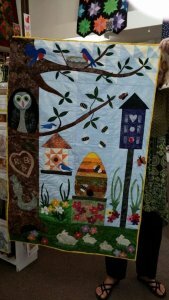 Egremont, Karen's Quilting Corner in Williamstown, Pumpkin Patch in Lee, and us, Quilts & Treasures in East Longmeadow. 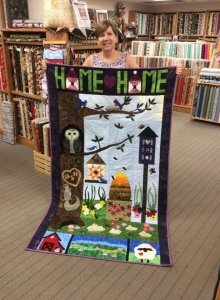 She then added two rows she collected in Maine: The Village Quilt Shop in Berwick and Cottonweeds in Freeport. The Home Sweet Home row at the top is our 9th Row benefiting the Springfield Rescue Mission. Great job! See below for other store winners who used our row! Plate Pin is sold out! New this year! The 9th Row!This row has been designed by the Row By Row organizers as a fundraiser to help the homeless. 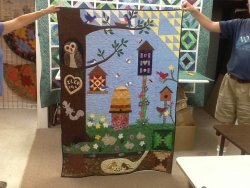 Shops who made a donation got the pattern to use for kits in their stores. A portion of the proceeds from the sale of each kit will be donated to the Springfield Rescue Mission. 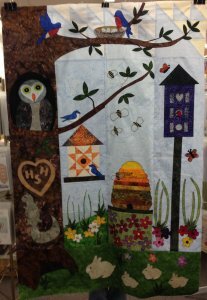 Kits are only available in the store and price is $10.00. Also available only in the store for a limited time: Get the whole shebang for $49.95! 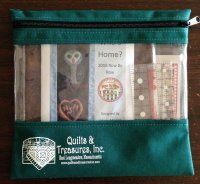 Includes: Quilts & Treasures project bag, row kit, 9th row kit, license plate, our store logo pin and a limited edition- commemorative 6 1/2" ruler by Creative Grids. Shebang Bags are sold out! 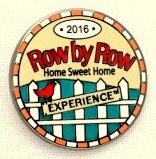 Visit the Row By Row Experience website for all the details! 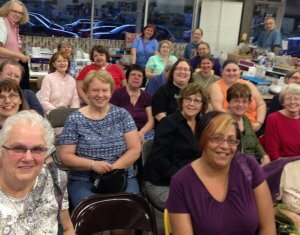 Our "Let's Get Ready" Party (held June 10) was so much fun! The show & tell was so good that I was too busy admiring to take photos!! But here's a photo of the people having fun! 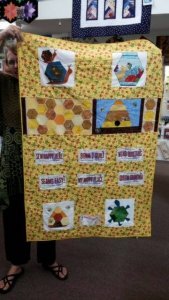 Check out other winners who used our row! its fun to keep a record of what stores you visit. To start your log, click here to download blank pages. Now you can get the row kits you missed!